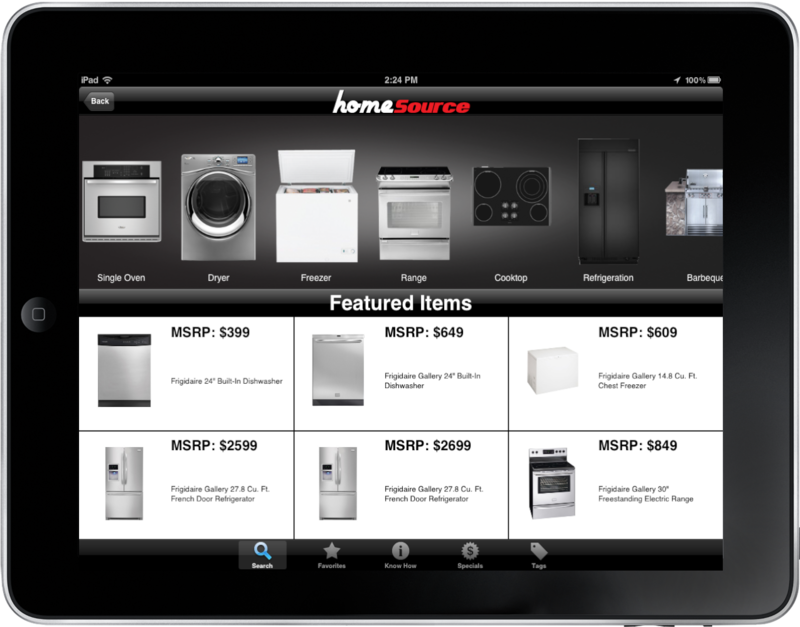 The Home Source App puts all the power of a better selling experience in the palm of a salesman’s hands. 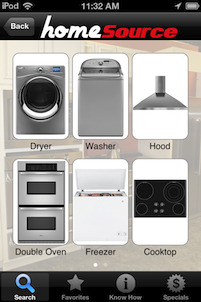 We offer the ability to search appliances and electronics from all the major manufacturers. 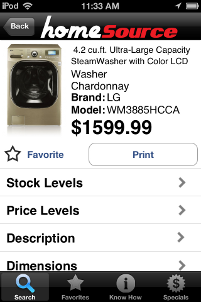 Add them to your favorites, print a spec sheet, view rebates and even print price tags. The best part, you can do all this on the showroom floor, while never leaving the customer. Requirements: Compatible with the iPhone, iPod touch and all iPads. Requires minimum iPhone OS of 5.0 or later. WiFi, Edge, 3G or 4G network connection sometimes required. 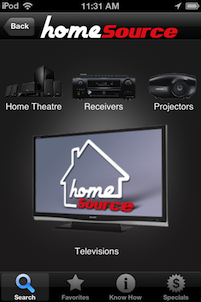 Save your favorite appliances and electronics for easy later viewing. 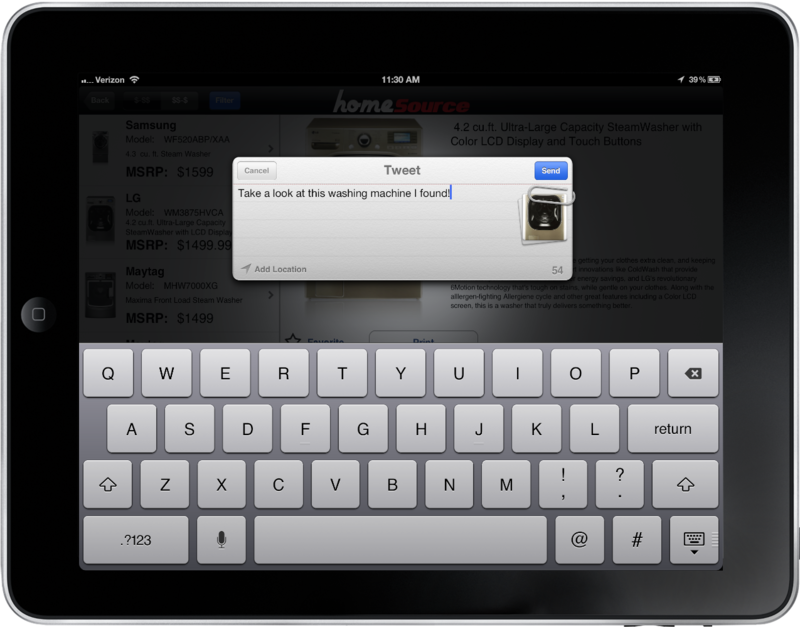 Share the great deals you find with your friends on Facebook and Twitter. Select from all the major categories. My store sells many different brands; can I access all my products? 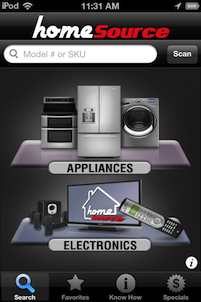 The Home Source App gives you the ability to research over 42 appliance manufacturers comprising of over 16,000 skus. We even have all the “high-end” brands like Sub-Zero, Viking and Wolf. Not to mention, we have over 5,000 electronic skus. Now you can find the details you need to close the sale, including dimensions, features and specifications. All iOS devices have the ability to print to an Air-Print capable printer. You can print spec sheets, price tags and even brochures for the customer. French Door, Built-in, Side-by-Side refrigerator? Not sure which one is right? 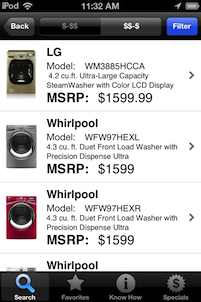 Shopping for a new appliance can be confusing. Our built in Know How sections can make selling process a breeze. We even have short videos describing the major differences of all appliance categories. How can I make sure I am offering my customers a good price that they won’t shop? Dealing with the big box stores have you frustrated? Let the Home Source’s ground breaking competitive pricing module show you exactly what the local box stores are selling the product for. 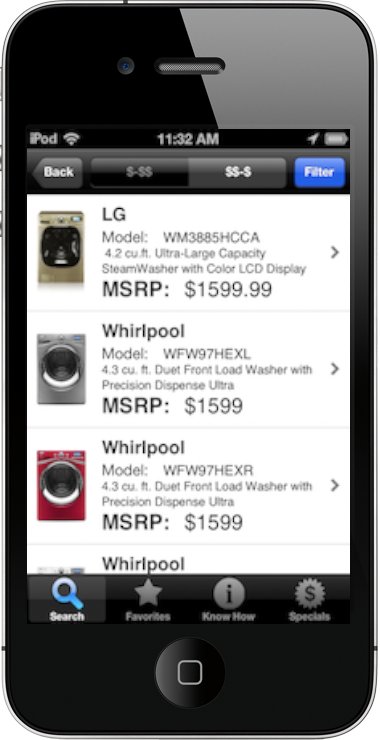 The Home Source app empowers your salesman to make informed decisions to close a sale. Copyright © 2012-2019 TheHomeSourceApp.com. All Rights Reserved.